IT was the summer of 1937 when Akkie Kelly first opened the doors of the fledgling Star amateur boxing club. Just two years before the start of World War II, there were no frills inside the hut at the back of his house, the club’s original home before a temporary switch to Kent Street and eventually New Lodge in north Belfast. Now stationed above a coal shed at O’Connor’s yard, it wasn’t much, but it was a start. 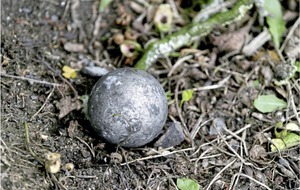 And from those Spartan beginnings, a movement began. As founder and figurehead, Kelly led the way. It wasn’t unusual to see him walking up the New Lodge Road after a day’s work at the shipyard, a bundle of sticks under each arm to light the fire. His boxers came first and it was no surprise that, when he died in 2000 at the age of 81, the church was filled with figures from the fight game who had benefitted from his wisdom. “There were that many boxers there, I remember saying to the guy standing beside me that when that bell rings at communion, you better duck,” laughs Jim Montague, the 1972 Olympian who had Kelly in his corner as both amateur and pro. It is a testament to Kelly’s early endeavour that, 80 years on, Star ABC continues to prosper in an increasingly competitive market. 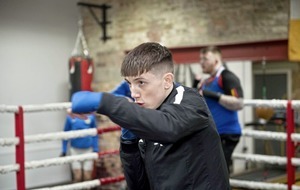 Walk into its Hillman Street premises and you’ll find dozens of hungry young fighters who want to be the next Jim Montague, all battling for space both inside and outside the ring that dominates the sweat-filled space. Hanging high to the right is a wooden plaque bearing the slogan: ‘Don’t make excuses, make good’. It is as old as the club itself, and remains the motto passed on to hopefuls lacing up gloves. Dotted along the walls are pictures from the club’s past, while a frosted glass image of Kelly leaning over the ropes watches the action from the back of the room. He would be a proud man. 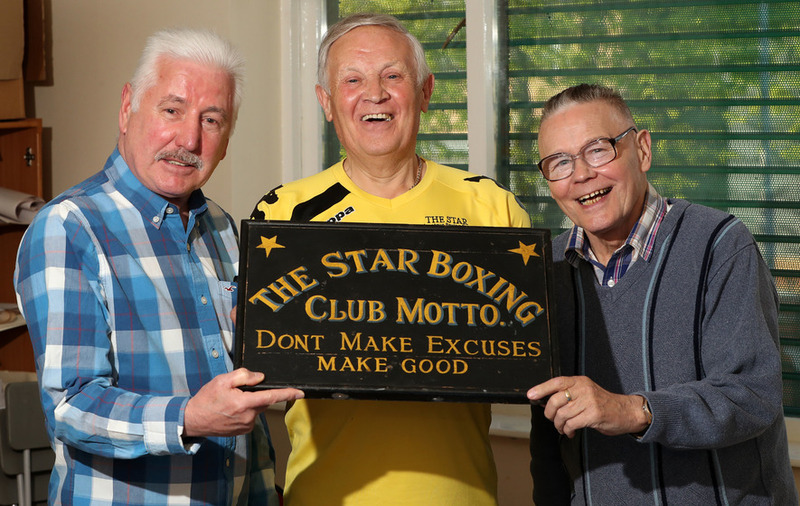 “I first came to the club when I was five years old – and that’s 69 years ago now,” says Willie Loughran, a son-in-law of Akkie Kelly who played his own part in the club’s history as both boxer and coach. “In those days there was no gym like we have today, but it became probably the main attraction around north Belfast at the time. “Every Sunday he would run a show and if you won your fight, you got a bottle of lemonade and an ice cream from the famous Morelli’s shop on the New Lodge Road. If you lost, you got one of the two of them. 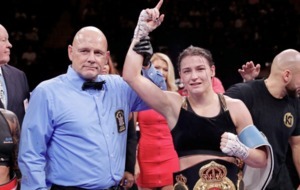 “A lot of big name fighters, the likes of Freddie Gilroy and John Caldwell, would have come to the Star to train at different times and that was because of Akkie Kelly. “He never raised his voice, and he never used foul language in his life,” continues Paddy Joe Branney, a long-time servant of the club. “If he called you, you jumped. You have to remember that in those days there was no money for clubs – he paid the rent for the club out of his pocket, for the coal, the heating. Montague had been with the News Boys and De La Salle before ending up at Star. Toughened up by years of hard sparring with brother Terry, he was transformed by Kelly. He did just that and, despite losing to Immaculata’s Jim McCourt in the 1972 Irish senior final, Montague was eventually named as the light-welterweight pick for that summer’s Olympic Games in Munich before embarking on a successful pro career. “The two reasons I made it to the Olympics are God and Akkie Kelly,” says Montague with a smile. “I fell in love with him – with his training, his attitude, his knowledge of boxing. He was a genius. “I mean, you had to see this place to believe it. It was one way in, one way out. You came up the stairs and you had had to walk sideways to get between the wall and the ring to get up to where the fireplace was and the scales. The club may have moved since Montague’s day, but the philosophy remains the same. Leading the way now is head coach Mickey Corr. Another disciple of the Akkie Kelly code, he has been involved with Star for 42 years and his number one objective is to retain the values laid down by the man who started it all. 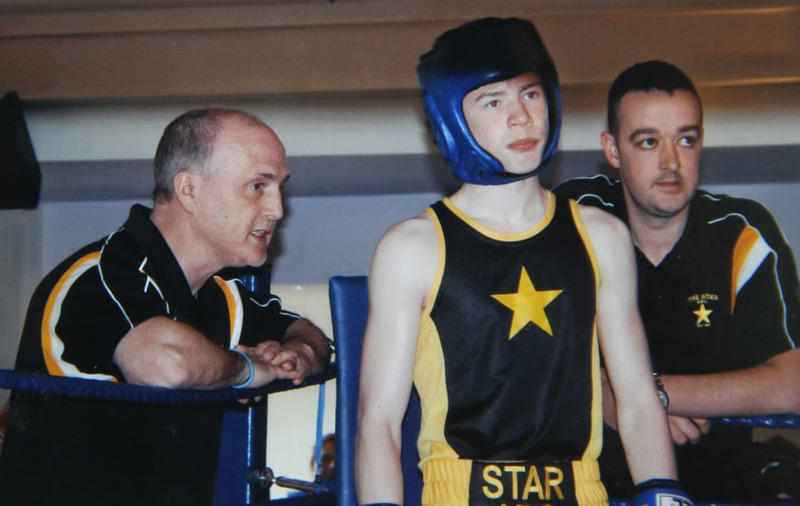 Corr’s son Liam also forms part of the current coaching team alongside Barry McMahon, Patrick Saunders and the experienced Branney and, where boxing is concerned, he has only ever known one way. “My dad’s been here since he was 10 and has always stuck by those mottos and drilled them into us,” said Liam. “Everything my da knows about coaching was passed down to him by Akkie, and he passed it on down to me and other coaches who are here now. “That sign on the wall - ‘don’t make excuses, make good’ – we’re drilling that into six, seven, eight year olds. Star ABC will stage an 80th anniversary show at the Lansdowne Hotel on Saturday, June 3, with a club team coming up against an Irish select. First fight 7.30pm. Tickets £20 (under 12s £10), includes three course meal. For more information, contact Liam Corr on 07540 269643.